A good addition to the Sigma Force series. These are good airplane books - adventure/thriller, can be put down and picked up, and quick reads. Love it! A quick read and I look forward what it's leading into. 2 of my favorite characters finally on their own together with their conflicting personalities.....what's not to love? Good look at Seichan and Kowolski, two side characters in SIGMA Force. strange SCI-FI type weapon, and a lot of 'back pocket' planning and operation enable the SIGMA force pro to survive and Win. Another great Sigma Force story. Entertaining and riveting - as usual! My only regret is that I wish the story were longer! I was pleased with the pace of the story. Plenty of action for a short story. Characters are consistent with their nature in earlier episodes of Sigma Force. Story too short. I wanted more. Characters are the best. I love them. I expect more from 7th plague. Am really excited about the new book. On a transatlantic flight, SIGMA Force agents Seichan and Kowalski survive a fiery force which knocks their plane out of the air. They survive the night in the forest on a volcanic island. On the island is a large resort hotel, still under construction, but open. However, the agents find it empty and haunting. There are bodies laying everywhere, but they only seem to be in a coma. There is a new horrific scientific study going on here, and Seichan and Kowalski will have to work together if they are to survive. As always, James Rollins certainly knows how to captivate his readers with mystery, action, and good writing. 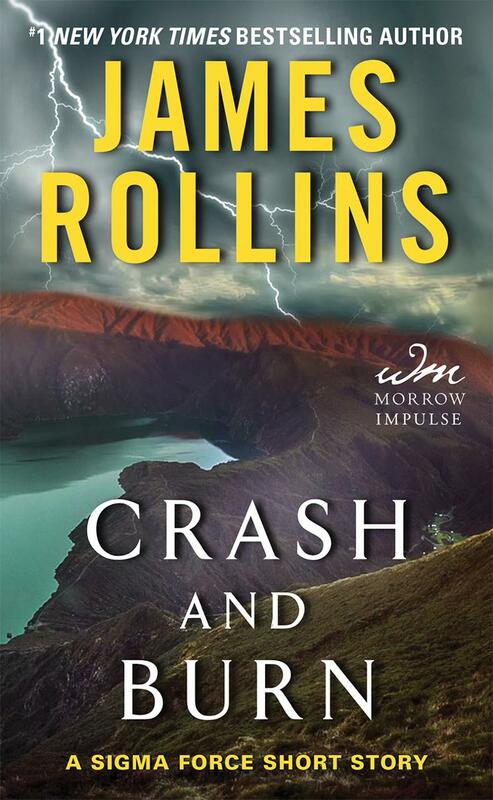 Highly recommend to readers who have not become familiar with Rollins' novels. Anything James Rollins writes is awesome. And I love getting a taste of a new book before it comes out. Thanks James. Rollins does it again! While a short story.. it is a smash'em up, knock'em down thriller! Two of my favorite characters.. Seichan and Kowalski are tossed together in an adventure of survival. They really don't care for one another.. but, they easily set aside their differences to take on a savage group who is using a new weapon that no one has ever heard of.. much less had used against them. The short story is an introduction to Rollins upcoming release, 'The Seventh Plague' which promises to be a must have book to read over Christmas vacation. If you can set it aside for that long! It will be available for purchase on December 13th, 2016!! Ohhhhhh.. Santa.. Please sneak me an early copy!! Jim strikes again. Love these scary weapons being developed. Will we never become civilized? Looking forward to the Seventh Plague. Sort and sweet but filled with weaponry to excite all. Spooky indeed but always a pleasure to see Seichan and especially to see the softer side. For a short story this was outstanding. Love the 2 characters who were featured in this one. Full of action from start to finish. I just finished reading Crash and Burn by New York Times bestselling author James Rollins. This short story is number 11.5 in the Sigma Force series. It involves the Team Sigma outsiders - our prodigal soldier boy, Joe Kowalski and the mysterious and lethal, Seichan. So excited that these two get the short stories to extoll their talents and get the opportunity to shine on their own. This is a fast paced, thrilling and terrifying story. Forced to crash land their plane on a remote island in the Azores after a debilitating malfunction, Seichan and Joe fight with what resources they have at hand to survive. Come with Joe and Seichan as they undertake a 12 hour battle against pure evil. This story content will truly scare the bejesus out of you. In reference to Jim’s remarks in the “What’s True, What’s Not” section – No, I don’t think you’re wrong (just don't aim it at me). As to the Azores – My bags are packed. Just let me know what flight to book. This short story also contained the prologue and first chapter of the new Sigma Novel, The Seventh Plague, being published December 13, 2016. So glad to see a sorely missed friend from an earlier storyline returning. This release can't come fast enough! Fill out the form below to create a review for crash-and-burn. Your review will have to be approved first before it will show up on the site.